The Inimitable Mary Walsh on Firecracker! 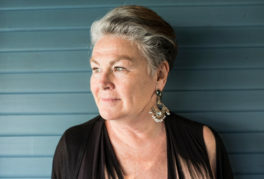 features funny gal Naomi Snieckus, as she interviews Special Award recipient, Mary Walsh, for The Firecracker Podcast’s Canadian Screen Week edition. This exuberant conversation will highlight women in the changing industry, how to find that comedy gold, reflections on an impressive body of work, and what’s still left to tackle. An actor / writer / improviser / voice-over artist / director / teacher, Naomi is a regular on CBC’s hit comedy, ‘Mr. D’ (two time ACTRA nominated and Canadian Comedy Award winner). She is an alumnus of ‘The Second City Toronto’ where she wrote and performed in five hit shows. Her TV and film credits include ‘12 Trees’ (co-starring Matt Baram and Mel B of ‘The Spice Girls’) ‘Drunk and On Drugs Happy Fun Time Hour’ (co-starring the cast of ‘Trailer Park Boys’), ‘The Listener’, ‘Degrassi’, ‘Train 48’, ‘Regenesis’, ‘Little Mosque on the Prairie’, ‘Ron James Show’, ‘Being Erica’, ‘Wingin’ It’, ‘She’s the Mayor’, ‘Alphas, Skins’, ‘The Jon Dore Show’, ‘Saw 7 3D’, ‘Dino Dan’, ‘AnneDroids’, CBC’s ‘Canada’s Smartest Person’ and ‘Playdate’. You may have heard Naomi’s voice on CBC Radio’s ‘Canadia’ or as ‘Aunt Turtle’ on the cartoon ‘Franklin the Turtle’. She co-created the digital show ‘Doing it With Brian and Darla’ for CBC Comedy and ‘The Casting Room’ Web Series (LA WebFest and CCA winner). Naomi has also won a Canadian Comedy Award in the category of Best Female Improviser. She is a founding member and Co-Artistic Director of the five-time Canadian Comedy Award winning troupe ‘The National Theatre of the World’ and was a regular on ‘George Stroumboulopoulos Tonight’ on CBC. You can see her on the feature films: ‘Happily Ever After’ with Alex Kingston and Peter Firth and ‘Two for One’ with Gavin Crawford. Mary Walsh was born in St. John’s, Newfoundland. She studied acting at Ryerson University and is the creator of CBC’s This Hour Has 22 Minutes, which has won numerous Gemini, Canadian Comedy and Canadian Screen Awards. She is a versatile actress and has appeared in both dramas and comedies, including the Gemini Award-winning Hatching, Matching and Dispatching, which she wrote and starred in. Recently, Walsh has performed in Little Dog (2 seasons), Sensitive Skin, Rookie Blue and Slasher. She currently has several feature films in development, and in 2017 the cast of Hatching, Matching and Dispatching was reunited for a CBC feature called “Christmas Fury”, of which Walsh is the writer, producer and star. She is a Member of the Order of Canada and has received a Governor General’s Performing Arts Awards for Lifetime Artistic Achievement.